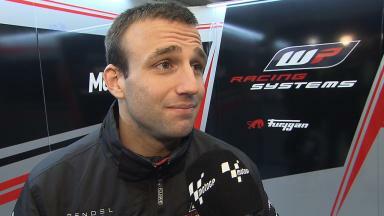 Having ridden well at Valencia last week, Frenchman Johann Zarco was on the pace again at Jerez on Tuesday. As the Moto2™ field gathered for another three day test, this time in the south of Spain, they encountered cool and windy conditions in the morning at the Andalusian venue. Zarco’s timesheet topping lap came in the final session of three 70-minute outings over the course of the day, as the Ajo Motorsport rider went round the Jerez track in 1’42.817 on the Kalex. Behind Zarco, Briton Sam Lowes was second quickest on his Speed Up Racing machine as he prepares for his second season in Grand Prix competition. 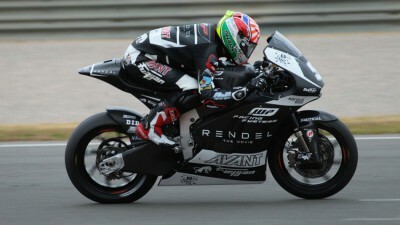 Lowes lapped 0.112s off Zarco’s rapid pace. Paginas Amarillas HP 40 Luis Salom was third best, 0.271s off P1 pace with his fastest lap registered in the second session of the day. 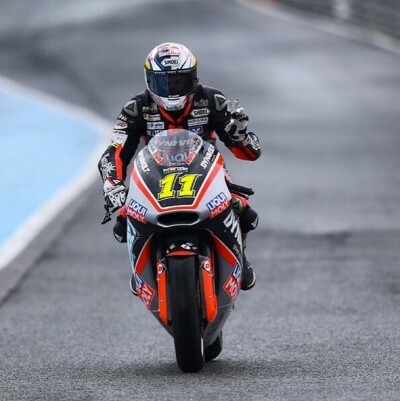 In fourth place on the timesheet was Salom’s rookie teammate Alex Rins (Paginas Amarillas HP 40) who is showing good signs in preseason ahead of his debut intermediate class campaign. German rider Jonas Folger goes into the new season as a Moto2 sophomore and he was fifth quickest overall on Tuesday with a 1’43.298 lap on his AGR Team Kalex. It was not an ideal day for Moto2 World Champion Tito Rabat (Estrella Galicia 0.0 Marc VDS) as he crashed just after midday and ended up sixth fastest (+0.494s) overall. Rabat also suffered three crashes last week at Valencia and will aim to cut out the errors over the next 48 hours. A Kalex dominated top ten was completed by Mika Kallio (Italtrans Racing Team), Xavier Simeon (Federal Oil Gresini Moto2), Axel Pons (AGR Team) and Thomas Luthi (Derendinger Racing Interwetten). Of those top ten riders only Lowes with the Speed Up chassis was not on a Kalex. For full Moto2 Jerez day one test results click here. 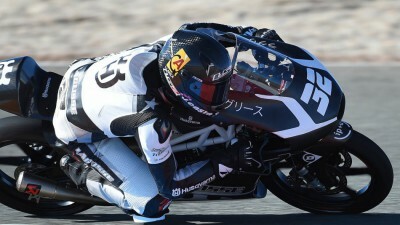 Tuesday’s testing at Jerez ended with Isaac Viñales at the head of the combined Moto3™ sessions timesheet. 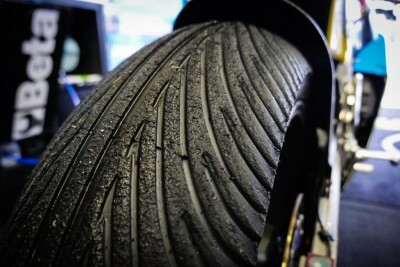 Cool temperatures and windy conditions greeted the smaller class riders on Tuesday morning at Jerez. A three-day Moto2™ & Moto3™ test at Jerez from 17th-19th February gives the riders another chance to prepare for the 2015 battle. 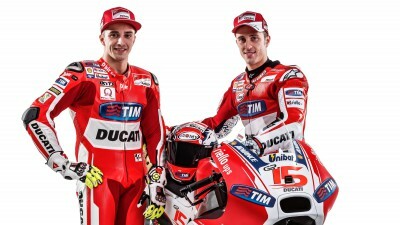 Dovizioso and Iannone unveil the new GP15 at the Italian factory’s 2015 MotoGP team launch. 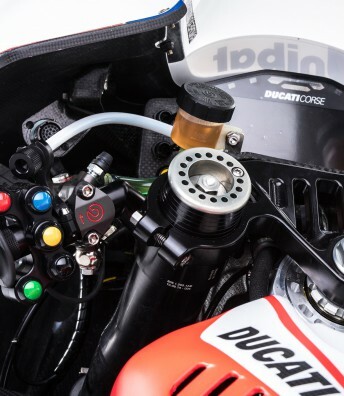 Ahead of the forthcoming 2015 MotoGP™ World Championship season Ducati have presented their new GP15 prototype. 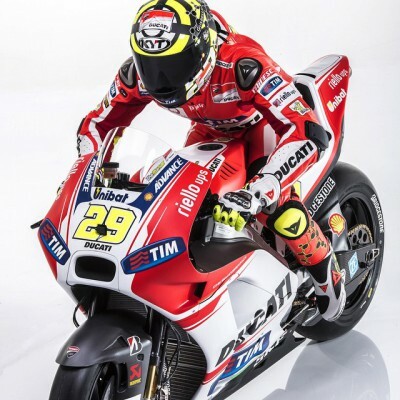 Breaking News: 2015 Ducati Desmosedici GP15 unveiled! 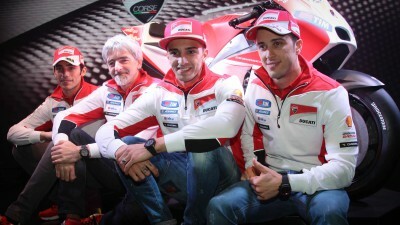 Dovizioso: "The GP15 will be really strong"
Ducati riders Andrea Dovizioso and Andrea Iannone unveil the 2015 Desmosedici GP15 MotoGP race bike at the Ducati Auditorium. Hiroshi Aoyama has a new role collaborating with Dorna and Alberto Puig, to help with uncovering and developing talented young Asian riders.